Cheap flights to South Korea: Seoul from Prague for €420! Turkish Airlines now offer discounted tickets to South Korea for great price. 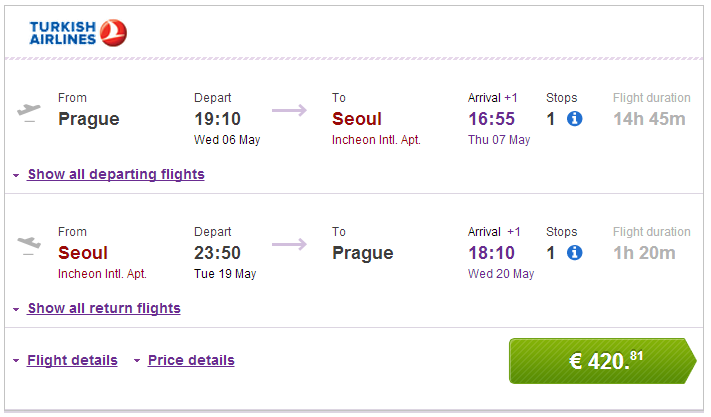 Return ticket from Prague to Seoul will cost you only €420 / 11630 CZK. Travel dates are from May to September. There is 1 short transfer in Istanbul. Book fast via Vayama to get this awesome price. Seoul is fairly expensive city but you can find some amazing deals if you dig around a bit. Check out best hotels in Seoul here. If you want to discover more than the capital city and you are slightly adventurous, renting a car can be a very good option to travel around so check the rates to get the best prices. « HIT! 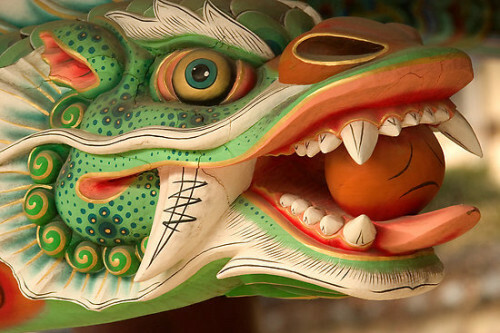 Super cheap flights to China: Beijing for only €201!